Hope this works, have never posted a web page before! Fantastic site! I shall be ordering from it, no question. I agree they would look nice in a frame. Odd the number of countries that have chosen to put a Scottish drhd on their stamps. Very nice Deerhound stamps. I have a big stamp collection over dogs and wolves. 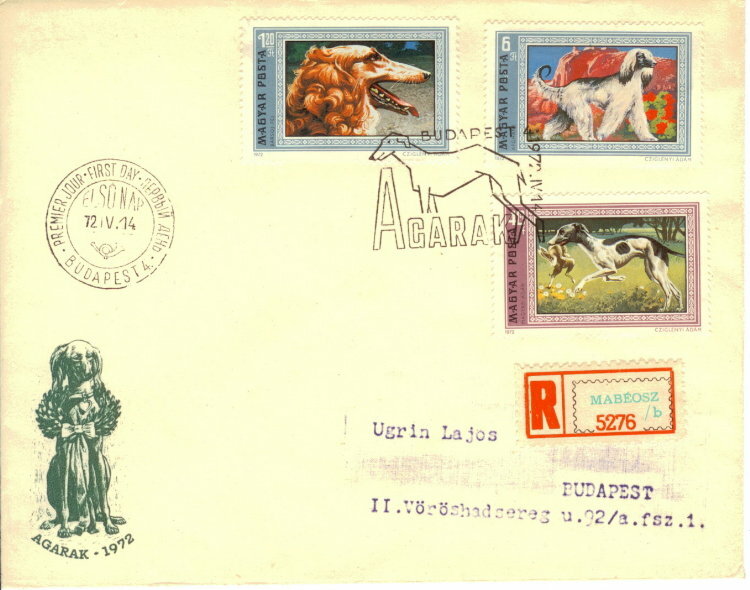 Of this stamp from Hungary is not a Deerhound it is a Irish Wolfshound. I have this stamp in my collection and of stamp is print Irish Wolfshound. 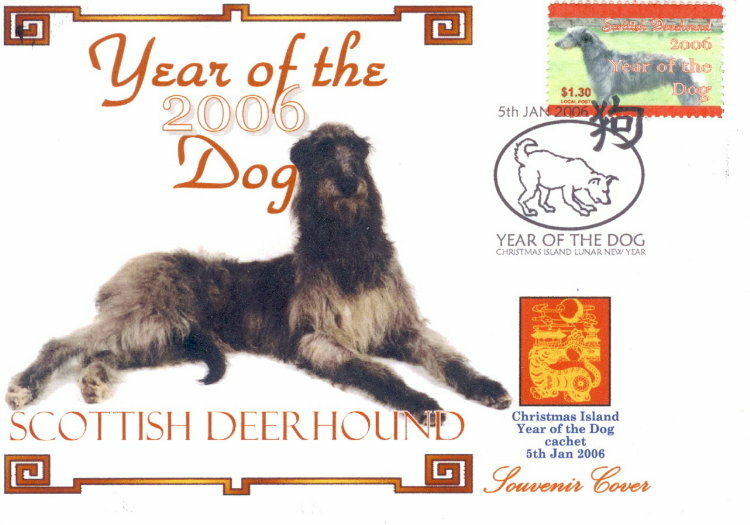 I have purchased from a collector of Australia 3 souvenir cover with a Deerhound stamp from the local post of Christmas Island. Wow, they are lovely - just as well my mum hadn't seen them! You are a stamp collector? and 2 albums with wolf- and wilddog stamps in my collection. I collect stamps since over 40 years. Many greetings on your mum. This are 2 First Day Covers from my collection with Sighthound stamps from Hungary. 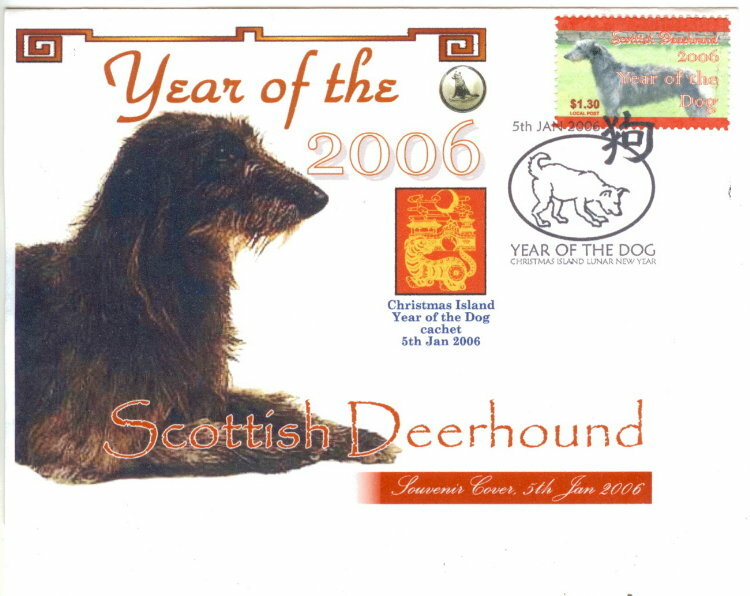 Sorry it is not a Deerhound stamp of the covers. 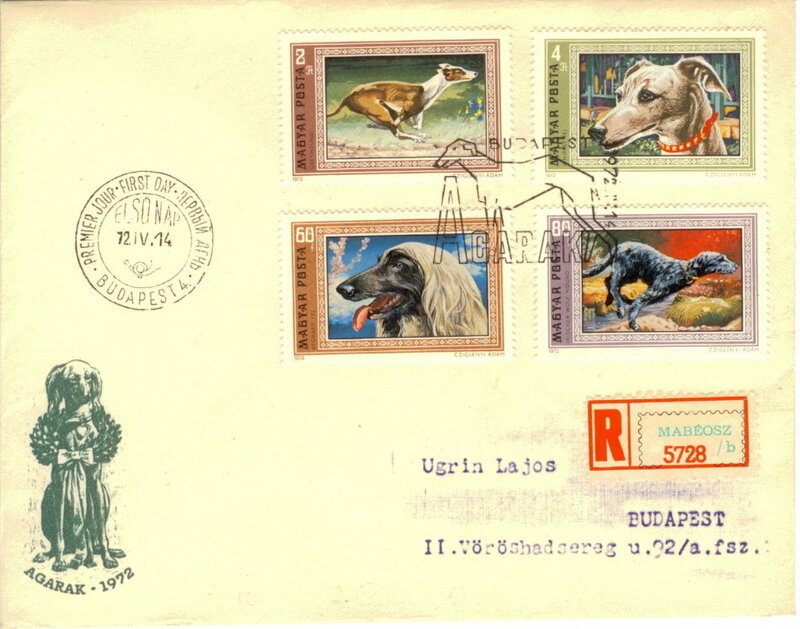 This are 2 First Day Covers with Sighthound stamps from Hungary. ... Yes, no Deerhound stamp but 2 different Afghan Hound stamps in the issue.